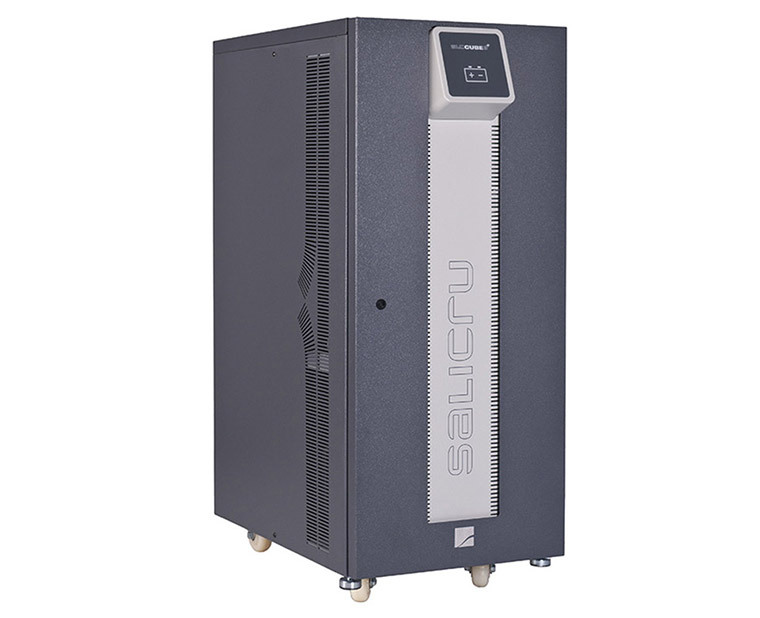 Salicru’s SLC CUBE3+ series is a UPS range featuring high-performance, On-line double conversion (VFI) technology that provides a reliable, high-quality power supply and, at the same time, achieves significant energy and financial savings in terms of installation and operating costs. 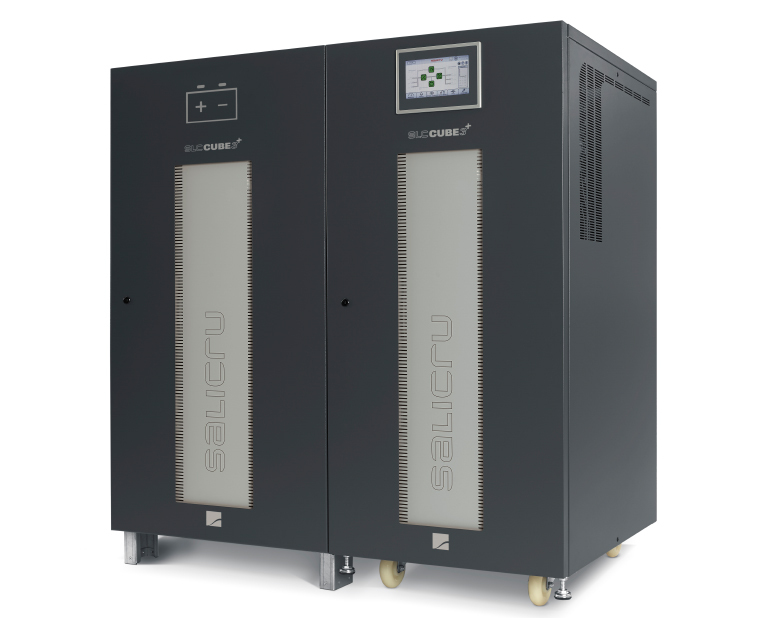 Particularly noteworthy is the unit’s input power factor (PF=1) and its extremely low distortion rate (THDi even lower than 1%), which help to reduce installation and operating costs, and contribute to improving the quality of the electrical network. 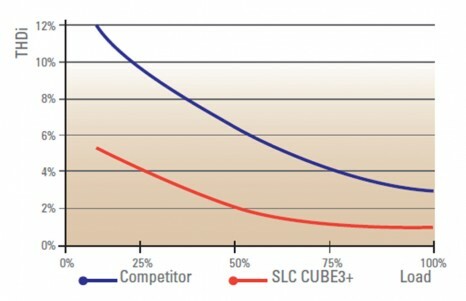 The output power factor (PF=0.9) also stands out, providing optimum electrical protection for computer systems and low harmonic output distortion (THDv even lower than 0.5%), enabling it to protect any type of load (inductive, resistive, capacitive or mixed). In addition, the performance achieved (up to 95% in On-line mode and 98% in Smart Eco-mode) produces significant energy consumption savings and reduces air conditioning needs. 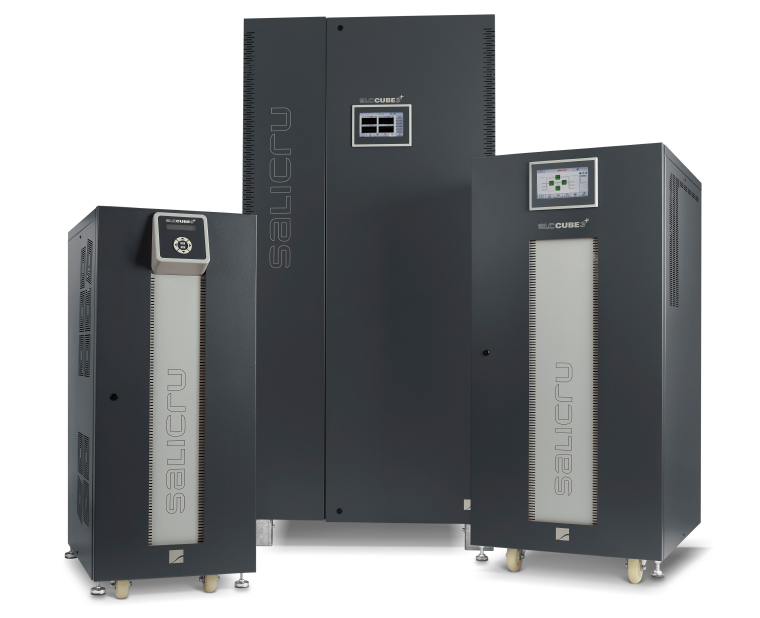 For a full optimum solution, the SLC CUBE3+ provides maximum adaptability (even with the standard model), the possibility of parallel redundant expansion and extensive communication options. Finally, also worth noting is the unit’s lightweight design and reduced dimensions, enabling it to be easily installed and ensuring that footprint is minimal. On-line double conversion (VFI) technology with DSP control. 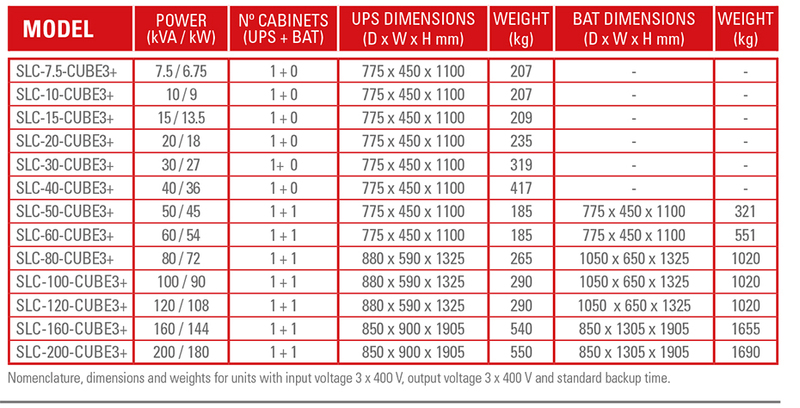 Input power factor 1, for better performance. Very low input current harmonic distortion (THDi as low as <1%). Designed to withstand any type of load. Batt-Watch function for monitoring and battery care. 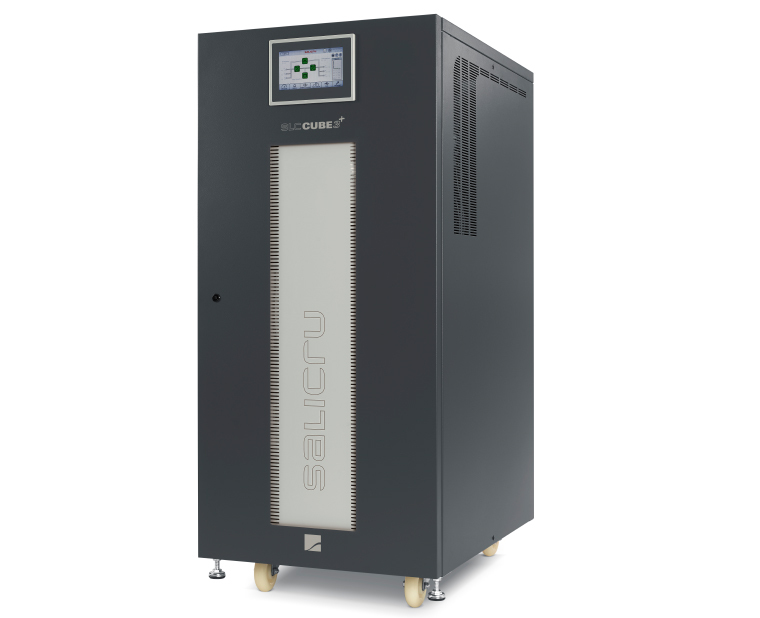 High output power factor (PF=0.9). Very low output voltage distortion rate (THDv even lower than 0.5%). On-line mode efficiency of up to 95%. 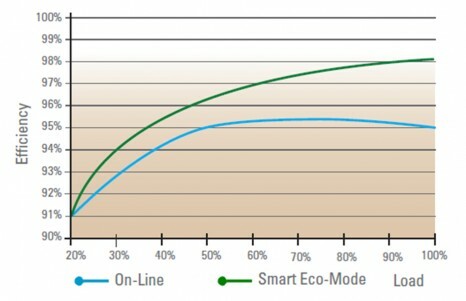 Smart Eco-mode efficiency of up to 98.4%. Very compact design with minimal footprint. Can be integrated into the most advanced IT environments. Built with 60% recyclable materials. 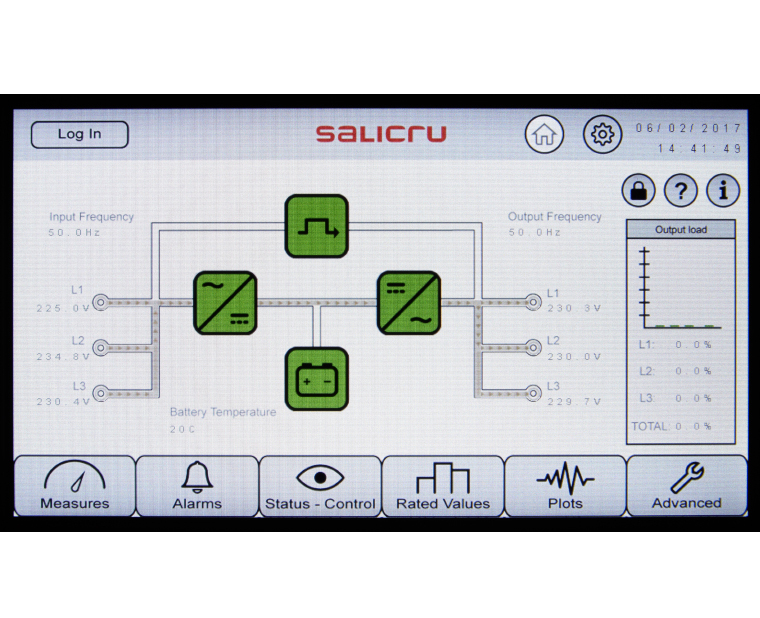 High performance in On-line and Smart Eco-mode operation. The lowest harmonic distortion in the market. SICRES adapter for remote management. Monitoring, management and shutdown software. 1 x additional RS-232/485 serial port. Common battery set for parallel systems. 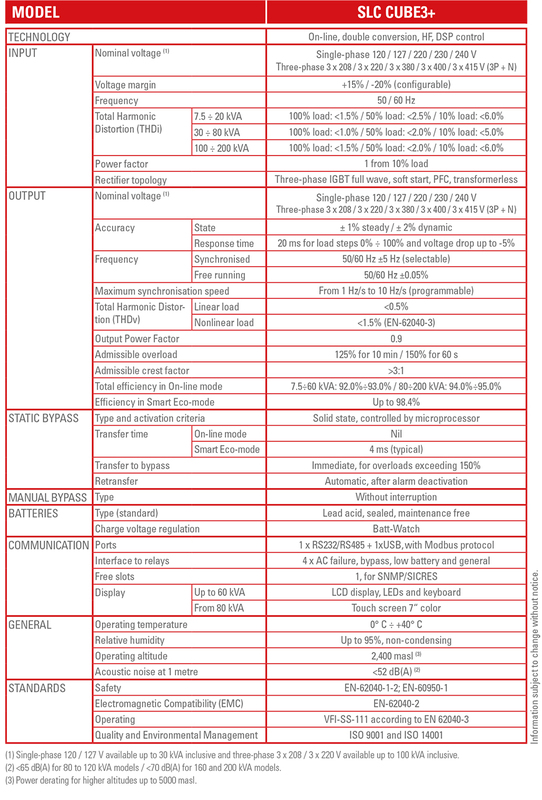 BACS II, battery monitoring, regulation and alarms. Dual-level charger for NiCd batteries. 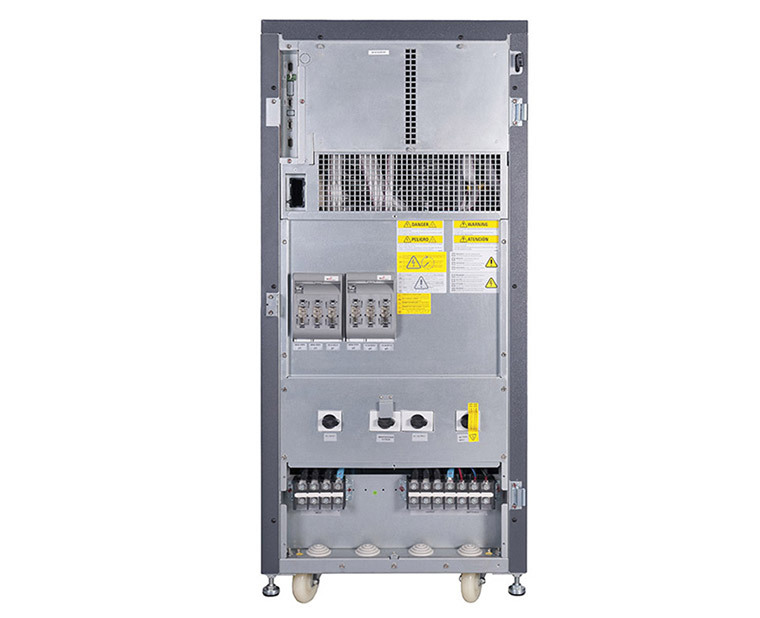 Enclosure with IP21 protection rating in accordance with standard IEC 60529 Degrees of Protection. Backfeed protection provides additional protection to the input in the event that the bypass thyristors suffer a short circuit. Use of the internal backfeed contactor in the bypass line provides security in fault situations occurring in the static bypass line and prevents power from rising in the input.